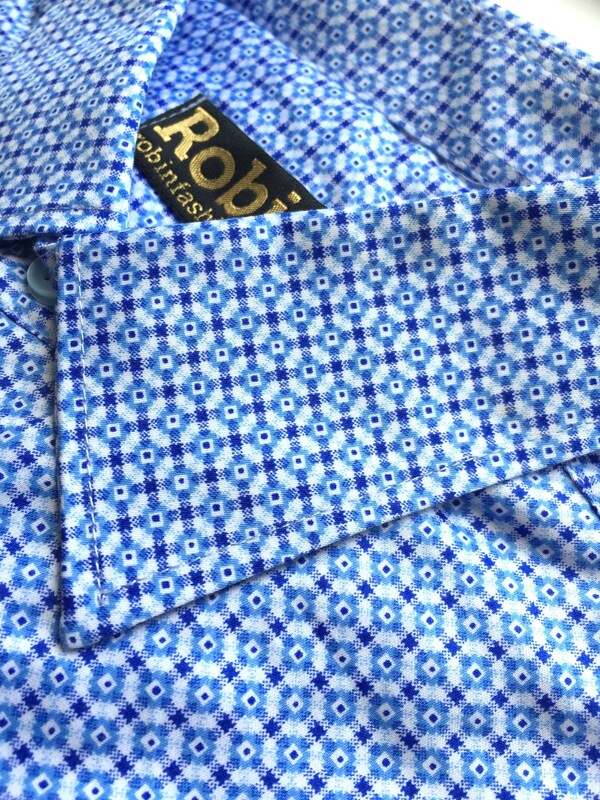 Men's dress shirt with woven geometric patteern in a slim fit. Beautifully stitched, French seam sides and sleeves, anti rip triangle at hem sides, playful detailing with solid block turquoise colour in collar and sleeves. Made of super soft cotton.